Get the Pivot Points Indicator! 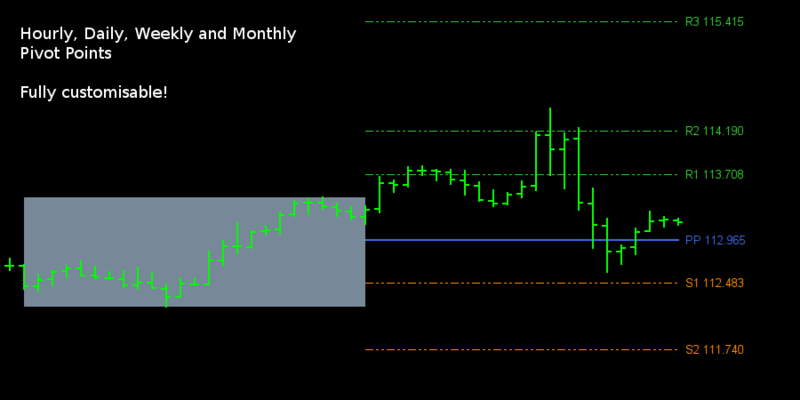 The Pivot Points indicator shows you hourly, daily, weekly or monthly pivot points and support and resistance levels. You can choose between 8 different methods to calculate the Pivot Points and between 3 different formula for the support and resistance levels (R1-R4 & S1-S4). The demo version works only on EURUSD. You can change all parameters except the "Pivot Point" and "Support & Resistance Level". 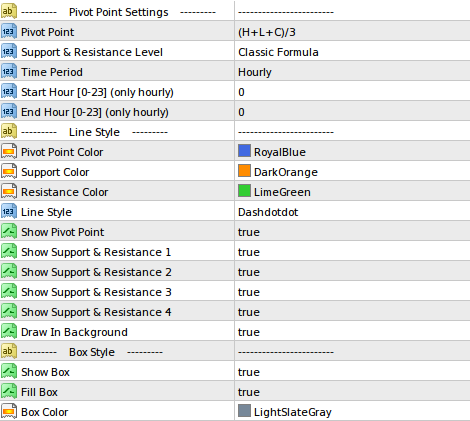 You can easily make an EA based on this Pivot Points indicator with its 9 buffers. 0-3 for the Resistance Price, 4 Pivot Points, 5-8 for the Support Prices. You can install the Pivot Points Indicator on limitless demo and live accounts. Hi Yannick – would it be possible to calculate daily pivots on indices using a workaround? I would like to calculate daily pivots based on prices between 10:00 and 19:30 (i.e. 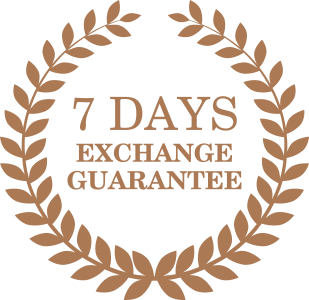 cash trading hours for Dax & FTSE) metatrader time. Would I be able to do that? You can only set full hours like 10:00 and 19:00. Can you develop 6 month, quarterly, and yearly pivot point indicator? I do not consider adding it. Do you have pivot points indicator using DeMark’s calculation formular? No, but I can include it of you send it to me. 1. Although you mention only 3, does this PP indi include Floor trader pivots and Demark’s pivots also in addition to the above? 2. Does it include yearly, monthly, weekly and daily pivots and 4 hourly pivots in all the pivot types? 3. Can one overly all of them with different colors? ie Floor trader pivots …Y (red), M (brown), W(blue), D(green) etc. on a single MT4 chart? 4. is the writing for the pivot lines on the side on all the types of PPs so not to obscure the chart? 1. No only the 3. Can you please send me the doc of the 2 you mentioned? 4. I’m not sure what you mean. But I can send you a demo version if you want? I will make one. Not sure when, but I will. When using format daily, Monday morning does not work, work only: Tuesday, Wednesday, Thursday and Friday. But Monday dose not show the pivot of last friday. This is because of the Weekend Gap. I have added a new parameter where you can turn this on or off. Please download the new version in your account. When purchasing any of your robots do you offer set files and support trading. Like a chat room where traders discuss and share setups. I do not provide any settings. I do have a forum where users can share their settings, but there is not much activity. Feel free to open a new topic in the forum.